In 2017, the board of directors at the McLaughlin Garden & Homestead approved a new Master Plan for the McLaughlin Garden & Homestead, stewarding it into the future. The Master plan includes new features that will enhance our visitors’ experience, including a visitors center with more amenities and new gardens that will compliment and expand the cultivated landscape. In 2018 we are raising funds for the first phase of the project, including: A new woodland garden (with assistance from Project Canopy–a USDA project), a new streetscape and perimeter fence, a meadow garden with parking, and a rejuvenation plan for our historic garden. This new plan builds on the legacy of Bernard McLaughlin but also offers much more vitality for our audience of children, families, community members, and tourists from across the nation. The Davis Family Foundation has provided the initial donation for this phase and we are working with to raise the remaining funds to move forward with this exciting transformation. 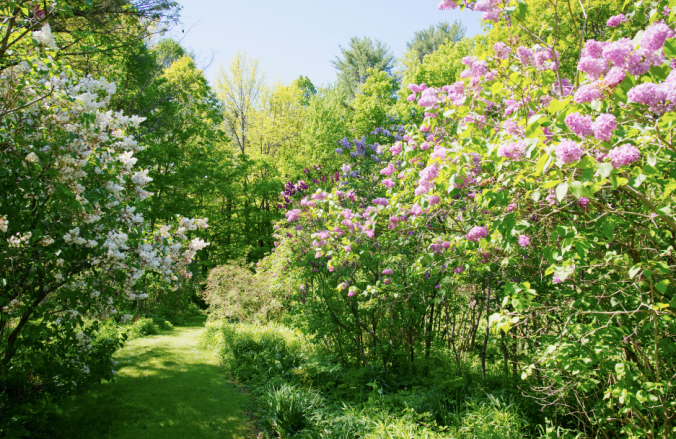 In 1936 Bernard McLaughlin began planting what would become one of Maine’s most beloved gardens. A century-old Maine farmstead with massive stone walls and huge barn provided a unique background for his sophisticated collection of trees, woody shrubs, and perennials. 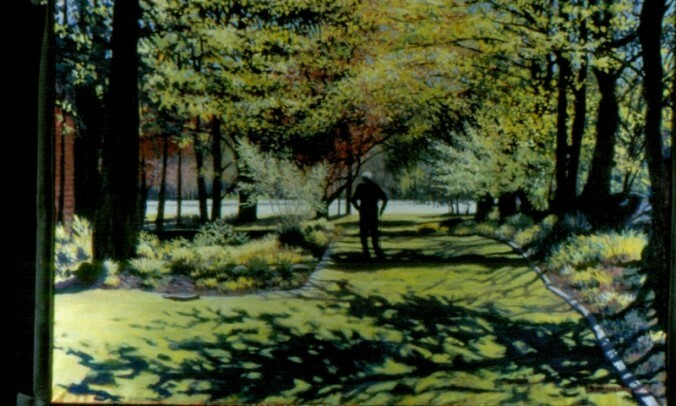 Bernard welcomed visitors to the garden whenever the gate was open, creating a true mecca for garden enthusiasts. With no formal horticultural training, tending the garden single-handedly for most his life, he eventually become known as the “Dean of Maine Gardeners.” Bernard McLaughlin died at age 18 in 1995. Now over seventy years old, the landmark two acre garden is under the stewardship of a nonprofit organization formed to preserve the historic home, barn and garden for the public. The formal garden features mature collections of hostas, daylilies, astilbes, iris, phlox, sedum, cimicifuga, sempervivums, and over 200 lilacs beneath a canopy of mature deciduous and coniferous trees. A diverse collection of Maine wildflowers and ferns border an old lane which rises up a wooded hill behind the barn. 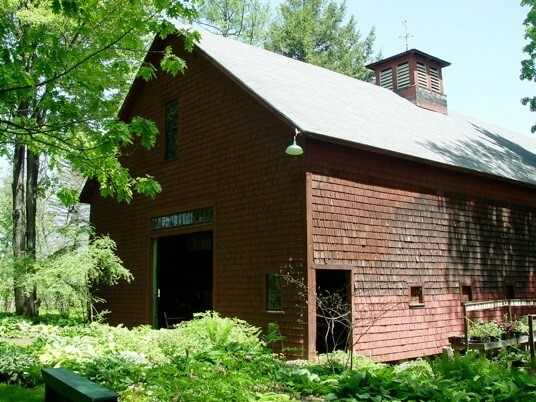 The McLaughlin Foundation invites you to explore the historic home, barn and Garden Gift Shop as you enjoy the serenity of this Maine treasure. The Mission of The McLaughlin Foundation is to bring natural beauty and history into people’s lives.